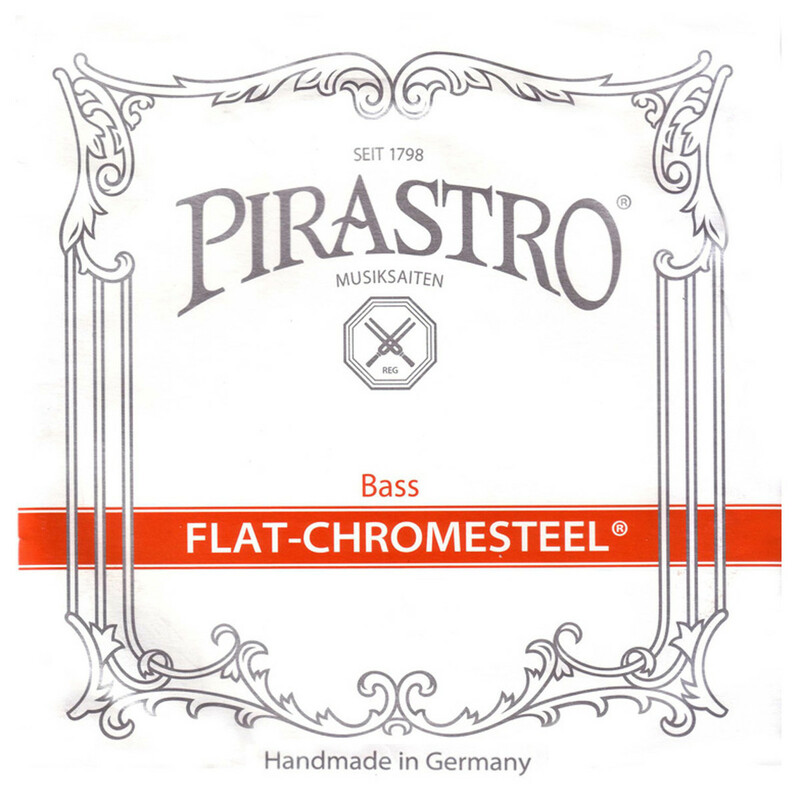 The Pirastro 342020 Flat-Chromesteel String Set has a clear projection for the intermediate double bassist. The orchestra rope core produces versatile tones with a generally clear, bright sound. The chrome steel winding adds precision to your notes, as well as having a comfortable feel. The medium gauge tension has optimum versatility between balanced and strong tones. These strings are designed for 3/4 size double basses and feature ball tailpiece ends. The Flat-Chromesteel string series offers musicians a reliable sound. The carbon steel rope has a dynamic sound with a blend of overtones. The rope is also useful for producing a loud projection that is clear in studio and live settings. The instant playability and tuning stability make the Flat-Chromesteel strings ideal for gigging musicians who need reliability. The strings have a quick, balanced response, which can be utilised by players who require a composed sound. This set has an orchestral tuning, and is preferably used with a bow.